In late February Utah Gov. Gary Herbert unveiled his Healthy Utah Plan to close the state’s coverage gap. His proposal would give 111,000 Utahns who earn less than $15,521 a year access to subsidized private health insurance. While the governor’s plan is similar to the “private option” solutions operating in Arkansas and Iowa, it contains several unique Utah elements that have garnered national media attention. But unveiling a plan doesn’t mean it will get traction. The Healthy Utah Plan faces significant hurdles —in both the state and national arenas—to be approved and implemented by 2015. Here’s what the state’s unofficial “to do” list looks like. >>Contact your Utah legislators and ask them if they support Gov. Herbert’s Healthy Utah Plan. What are my options if I don’t earn enough to get premium subsidies on the Utah marketplace? You ask a very tough but common question. Tough, because there isn’t a simple—or satisfying—answer. Common, because I have met many people just like you as I travel around Utah. A few weeks ago I spoke to a woman in Moab who is exactly like you. She owns her own small business but doesn’t earn enough to qualify for premium subsidies on the marketplace. I’ve met others in Ogden, Bountiful, Park City, Provo, and Vernal in the same boat. And it’s all related to Utah’s decision about expanding Medicaid—the federal/state insurance program for low-income people. You are stuck because Utah’s indecision has left individuals and families who earn below 100% of the federal poverty level (FPL) with no realistic options for coverage. Making 100% of FPL is the same as earning $11,490 a year for a single person or $19,530 for a family of three. Anyone who earns between 100% and 400% of the FPL can qualify for a subsidy to buy private insurance on the marketplace, at healthcare.gov. But if you earn below that—under $11,490 a year for a single person—you qualify for a big, fat nothing. People who don’t qualify for premium subsidies, but can’t get Medicaid in Utah are stuck in the “Medicaid Gap.” Sadly, you aren’t alone. About 5 million Americans and about 60,000 Utahans fall within this range. It’s like the entire city of Layon, UT (pop. 67,000) is stuck in health insurance limbo. We know these figures because the Utah Department of Health hired the outside experts at Public Consulting Group (PCG) to produce a June 2013 report showing the economic and human impacts of expanding Medicaid in Utah. >>To qualify for Medicaid in Utah you not only need to make less than 100% of the FPL, which is about $11,490 in 2013. But you must also be in a specific category, such as pregnant, disabled, or a parent that make under the 44% poverty level. Children under age 18 can qualify for Medicaid or CHIP if their families earn under 200% of the FPL. But this often leaves their parents without health insurance. >>To qualify for premium subsidies on healthcare.gov you need to earn from 100% to 400% of the poverty level. This allows you to buy private health insurance from the marketplace at a discounted rate determined by your annual income. Because you earn under 100% of FPL, you have very limited options right now. You could apply for Utah’s Primary Care Network (PCN), which offers basic preventative care and some prescription drug coverage. But PCN has a limited number of slots available, and enrollment is often closed. And you can also get medical care on a sliding-scale fee basis at Utah’s network of federal-qualified health clinics (FQHCs), which serve a range of insured, uninsured, and Medicare/Medicaid populations. But neither of those options provide the comprehensive, affordable health insurance you probably thought Obamacare would deliver. This is why Medicaid expansion is such an important issue. Expanding Medicaid would provide health coverage to single adults and all parents who earn under 100% FPL—a population that can’t qualify for Utah Medicaid today. Still, all is not lost. The governor and the Utah legislature will decide on Medicaid expansion at the start of 2014. See Medicaid Expansion Gets Real for the latest details on Utah’s options for expansion. However, the earliest that any expansion plan could take effect in Utah would be late 2014 or early 2015. One thing that is clear. Utah is not Texas, Georgia, or Mississippi. In those three states, the political leadership slammed shut the door on expanding Medicaid. Here in Utah, our door is still open. Advocates, health professionals, and policy-makers are engaged in a fact-based and constructive debate from statehouse committees to newspaper op-eds about the costs and benefits of expanding insurance coverage to low-income Utahns. Some sort of Medicaid expansion—or private-insurance coverage that achieves a similar result—is possible in Utah. But it’s not certain. Next week the proposals and political calculus could shift dramatically. That’s the nature of Medicaid policy in Utah. But here’s what we know today—December 18, 2013. There are three Medicaid expansion options under consideration by the Utah legislature and Gov. Gary Herbert. These are the options that survived the winnowing process at the November 21st 2013 meeting of the Health System Reform Task Force, the legislature’s lead health policy committee. A full and traditional expansion of Medicaid—the state’s quickest and most cost-effective choice—did not survive a task force vote. Of the three options that did, two would expand coverage to Utah’s low-income uninsured or underinsured populations. The third option would turn down the expansion. Keep in mind, no matter which option Utah chooses, the earliest any coverage could take effect is late 2014 or early 2015. Let’s start with that last option—doing nothing. If the governor and the legislature failed to act, Utah would still need to enact changes required by the Affordable Care Act (ACA). These changes include the impact of the ACA requirement for most people to be covered by insurance, also called the “personal mandate.” The threat of fines for remaining uninsured will encourage some Utahns eligible for Medicaid—but not currently enrolled—to come out of the woodwork. The resulting “woodwork effect” will add new people to the state’s Medicaid rolls. Also, the ACA removed the asset test (ie. family savings) for pregnant women, adults in certain low-income families who would otherwise be eligible, and children in families that earn between 0-100% federal poverty level (FPL) and are between 6 to 18 years old. It will also transfer about 37,000 Utah children currently receiving CHIP benefits to Medicaid. Even if Utah rejects the optional expansion, the mandatory changes would add about 51,000 adults and children to the state’s Medicaid rolls. These mandatory changes would cost the state an additional $25.7 million a year by 2020. However, the mandatory expansion would still leave about 60,000 Utahns—composed of low-income parents and individuals—without access to affordable health insurance. They would continue to disappear into the so-called Medicaid Gap. The second option being pitched to the Utah Legislature is a partial expansion of Medicaid from 0-100% FPL—but with a twist. Utahns who fall into this category would receive a premium subsidy to purchase private insurance at healthcare.gov. Or, if they had access to workplace insurance, they could use a subsidy to purchase their employer-sponsored plan. Note: Utahns who earn between 100-138% of FPL would continue to be eligible to receive premiums subsidies to purchase private insurance on healthcare.gov. But for those with incomes from 0-100% FPL, Medicaid expansion dollars would create a new type of premium subsidy. 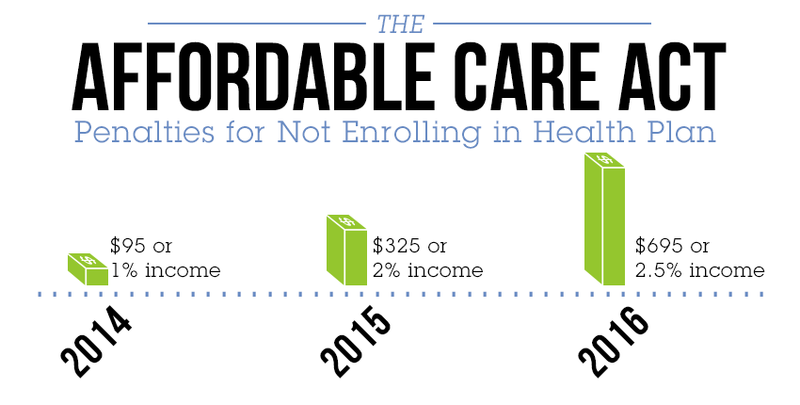 It is estimated that 54,000 adults will gain access to health care coverage under this option. Subsidizing private insurance for people earning between 0-100% FPL is projected to cost the state an additional $44.4 million a year by 2020, which includes the $25.7 million a year required for the mandatory expansion. Plus, this cost estimate assumes the federal government will initially cover 100% of expansion costs, phasing down to 90% by 2017—an assumption that is not definite. The third option is similar to the second option. However, it would use premium subsidies to expand coverage to the wider income range of 0-138% FPL. This option is similar to what Arkansas did to expand their Medicaid program. This option also uses Medicaid expansion dollars to subsidize the purchase of private insurance through healthcare.gov or through an employer. This option is estimated to cover 111,000 adults and is projected to cost the state an additional $66.5 million a year by 2020 (including both the mandatory expansion costs and anticipating the 100% match rate phasing down to 90%). Both the second and third options would require the creation of new private insurance plans that are “actuarially equivalent” (ie. cost equivalent) to the Medicaid benchmark plans. As a result, these new private insurance plans might be required to provide additional benefits like transportation to doctor’s visits that Medicaid covers, but most private insurance plans don’t. The plans must also include integrated medical and behavioral health services for certain populations. Plus, the medically frail population would be directed into traditional Medicaid. No matter what Medicaid expansion route Utah takes, the state will eventually get into the nitty-gritty details of applying for federal waivers, defining benefits packages, and setting reimbursement rates. Most likely, Utah will follow examples from Iowa and Arkansas to push the federal government for more flexibility. And they will likely have some success. For example, the federal Dept. of Health and Human Services (HHS) is allowing Iowa to charge premiums to low-income people who earn between 100-133% FPL—something traditional Medicaid prohibits. The premiums will be limited at 2% of the person’s income (at the poverty level, that’s about $19 per month), and enrollees would have the chance to reduce that amount by participating in a wellness program. Iowans who earn below 100% FPL won’t be charged a premium. Plus, Iowa initially won’t be required to provide non-emergency medical transportation for those who choose a Marketplace plan. In Arkansas, and with traditional Medicaid plans, this benefit has to be covered. Yes, Utah, there are Medicaid expansion options on the table right now. You can almost feel the momentum towards a Utah-based solution coming from legislative hearings, newspaper articles, and both the words and the silence from key policymakers. We can expect—with some finality—a decision about Medicaid expansion during the 2014 Legislative session (January 27 to March 13, 2014). Bills are being drafted, caucuses are being briefed, and straw polls are being taken. Will Utah expand coverage to those who need it? Or will our state close the door to our most vulnerable citizens like Texas, Georgia, and Mississippi? UHPP will be following this issue closely to let you know the latest developments. Be sure to read Health Matters, which will be published every week during the legislative session. Plus, help UHPP keep the momentum going by sending a message to your elected officials on whether Utah should expand Medicaid. The good news is that the door for Medicaid expansion is still open in Utah. Plus, a growing number of health-care advocates and community leaders are crafting workable plans to expand coverage. The governor’s Medicaid Expansion Options Community Workgroup continues to meet in subgroups throughout the summer to prepare recommendations for the governor’s annual health care summit in September (see the online meeting calendar). Subgroups unveiled their preliminary reports in June. Most proposals were still in their early stages of development and detail clearly hadn’t been fleshed out. The exception is the Full Expansion subgroup, which has been meeting weekly all summer to fine-tune its proposals. The public is invited and encouraged to attend both the subgroup and the general meetings of the Medicaid Expansion Options Community Workgroup. The next general meeting will take place Thursday, August 1, from 1:30pm-3:30pm, in Room #210 in the Senate Building at the Utah Capitol complex, (map). For information on the subgroup meetings, check out the online meeting calendar. For information on the progress made by each Medicaid subgroup, read the Medicaid Subgroup Article . To ensure an in-depth consideration of the various expansion scenarios, the members of Utah’s Medicaid Expansion Options Community Workgroup broke into five separate subgroups based on topic area. Some subgroups, like the one focused on Full Expansion, are meeting every Monday morning at 7:30am. Others are following a more relaxed schedule—but all subgroups are tasked to deliver specific recommendations to Utah Gov. Gary Herbert at his annual health care summit in September (see online meeting calendar). The public is welcome to observe or participate in the subgroup meetings, so please attend. For more information on the overall Workgroup (which meets monthly) visit the Dept. of Health website. Here’s a wrap-up of what’s been happening in the subgroup trenches. The full expansion subgroup is investigating the impact of expansion with traditional Medicaid benefits versus benchmarked benefits (a less robust package based on the Affordable Care Act’s Essential Health Benefit requirements). After compiling the required list of pros and cons for the option, the team is now looking at ways to tailor the full expansion to Utah’s needs. Matt Slonaker (Medicaid Policy and Collaborations Director, UHPP) and Alan Pruhs (Executive Director, Association for Utah Community Health) were selected to present the group’s best arguments to Gov. Herbert. Note: No subgroup has formally considered adapting the Arkansas plan for Medicaid expansion, but, considering its appeal among key legislators and advocates, the plan should be given a thorough evaluation by the Full Expansion subgroup. The partial expansion subgroup is focusing on two solutions that would be hard-pressed to win approval from the federal government. The first option is to expand Medicaid up to 138% of the federal poverty level (FPL) for the mental health and substance use disorder (SUD) population. Doing so would reduce current state and county costs for providing this care, but leave tens of thousands of Utahns without access to coverage. The second option is expanding Medicaid to only 100% FPL, which raises the question if Kathleen Sebelius, who leads the Dept. of Health and Human Services (HHS), would approve such a measure. HHS is on the record stating that applications for partial expansion will be denied. The charity care subgroup has not yet indicated a defined plan, mostly due to the significant logistical hurdles this group faces. We will address the challenges of charity care in future Health Matters articles and special reports. You can read some of our concerns about charity care as a solution for the uninsured in this recent factsheet opposing the establishment of a Charity Care Commission. The waiver subgroup has a tough case to make to both federal and state officials. They are tasked with exploring options to, 1) Return more decision-making and federal tax monies to Utah to administer state-run alternatives to Medicaid; and 2) Design a health-care system that provides better access and quality for the same amount of federal money the system provides now. The group has only met once. While the Utah legislature generally supports the block grant concept—requesting federal funding for Medicaid without the federal regulations and benefit guarantees—the Obama administration considers block grant proposals as non-starters for Medicaid expansion. For more information about the Medicaid Expansion subgroups and their meeting times, see the online calendar. Last month the Utah Department of Health (DOH) released the long-awaited Public Consulting Group (PCG) report on the Medicaid expansion in Utah. This report provides a cost benefit analysis on the pros and cons of expanding Medicaid under five scenarios ranging from taking no action to accepting full expansion with standard Medicaid benefits. Overall, the report cast a favorable light on expanding Medicaid, projecting that it would provide 123,000 Utah adults with new health care coverage, eliminate the coverage gap from 0% to 100% federal poverty level, generate $2.2 billion statewide in economic impact, and create over 3,000 new jobs. No question there are more pros than cons, all outlined in UHPP’s Pros and Cons of Medicaid Expansion: A Summary of the PCG Report. The impact of the PCG report will be on the agenda for two important meetings this Thursday (see calendar and below). We expect consultants from Boston-based PCG to be on hand during both meetings to answer questions about their analysis. And we anticipate some critical questions from legislators opposed to expanding Medicaid. Yes, there will be fireworks in June.The good news: You can have the opportunity to comment on the (pros, hopefully) of the full expansion when the Task Force meets this Thursday morning. Get your talking points here. Note: The group will hear updates from each of the subgroups, have a chance to discuss the Medicaid Expansion Assessment report with the Public Consulting Group, and hear public comment. Although the PCG report was originally scheduled for a February 2013 release—it actually arrived at a time when more states are accepting the Medicaid expansion. Last week in Arizona Gov. Jan Brewer called a special session of the state legislature to pass an expansion bill to provide Medicaid coverage to 300,000 residents of her state. And the Michigan House voted last week to pass a Medicaid expansion bill, with the Senate expected to act this week. For the latest on how Utah compares to other states accepting the Medicaid expansion, check out UHPP’s updated policy document, The Impact of Medicaid Expansion: Evidence from Nine States. Remember: Your public comments make a difference! Attend Thursday’s meetings and speak in favor of the 123,000 Utahns who could gain coverage if Utah expands Medicaid. On Tuesday afternoon the first meeting of the state’s Medicaid Expansion Community Workgroup gathered at the Utah Capitol Building. Filling the 20 plus chairs around the table were members from the state legislature, consumer advocates, provider associations, and other stakeholders. The idea for the group originated last fall when the Gov. Gary Herbert commissioned the Department of Health (DOH) to study the Medicaid expansion. Dr. Dave Patton, the DOH director, proposed a community workgroup to serve as an effective way to guide the state’s decision-making process. The DOH made an effort to convene a group whose members would represent different perspectives on the expansion issue and provide a broad-base of expertise. He also made sure to include a strong legislative presence to encourage cooperation between the executive and legislative branches. Subgroups will be formed to investigate and report to the larger group on various options. Although UHPP supports the appointment of a representative from the minority community to the main workgroup, we are glad to know there will be an opportunity for that community to participate at the subgroup level. UHPP also strongly recommends participation of current and/or former Medicaid beneficiaries, if not at the Workgroup level, then at the subgroup level. The initial plan for the workgroup is to assign subgroups to consider various scenarios like a full Medicaid expansion, a partial expansion, Medicaid block grants, charity care, and the flexible approach using premium assistance (ie. the Arkansas model). The first meeting served as a general orientation, including an explanation of the ground rules, and Utah Medicaid 101. The next meeting of the Medicaid Expansion Community Workgroup will be on May 23rd, at 1:30pm in the 2nd floor board room at the Utah Capitol Building. The workgroup is scheduled to meet monthly, with subgroups convening more often. Although not certain, the workgroup will prepare several options for Gov. Herbert to consider before the state’s annual health summit scheduled for September 2013. Note: Additional members from the Utah House of Representatives will be selected soon. Click here for the Workgroup’s Medicaid 101 documents. Medicaid expansion became a red hot controversy toward the end of the 2013 general session—generating front-page headlines for more than a week. But there was more to this issue than scripture and tears. The Medicaid expansion survived a last minute attack that would have tied Governor Herbert’s hands and undermined the state’s intention to study the issue in depth following release of the long-delayed state-commissioned study. On March 6th, HB391, originally written to nullify the Affordable Care Act, was substituted by Rep. Jacob Anderegg (R-Lehi) during a committee hearing with new text designed to prohibit the Medicaid expansion altogether. A few days later, after a theatrical floor debate, the House approved the new bill with a vote of 47 to 27. But were it not for a sensible move by Sen. Todd Weiler (R-Woods Cross) to effectively neuter the version of the billed passed in the House, the conversation about expanding Medicaid in Utah may have been over. If signed by Gov. Herbert, the substitute bill will insure that the legislature would play a role in approving any decision by the governor to expand Medicaid. It also calls for intensive study of charity care as a possible alternative to the Medicaid expansion by the Health System Reform Task Force and a complete and thorough analysis and discussion of the costs and benefits of expanding Medicaid on Utah. Let there be no doubt: Charity care plays a critical role in addressing the gaps in Utah’s health care safety net. But health care providers are already stretched to the limit. Due to low reimbursement rates, many already view their service to Medicaid as charity care. For these and other reasons, we see no reason to re-examine charity care as an alternative to the expansion. If we must, we will prove this once and for all and lay this idea to rest so we can move on and focus on the Medicaid expansion analysis. UHPP also supports the Department of Health’s proposed stakeholder commission to study and recommend a position on the expansion over the spring and summer. See our recent paper on the limits of charity care. (1) There is a growing appetite to seriously consider the Medicaid expansion in Utah and it is up to us to kindle this interest and further embolden heavy hitters to stand up for what’s right. (3) This discussion will take us into the shifting and uncertain terrain of Medicaid flexibility options. Watch our website for a forthcoming paper on these options and where they stand in states like Arkansas, Florida, Wisconsin, and Virginia. It will be important for advocates to stay informed on these options so that the discussion stays within the limits of what CMS (Centers for Medicare and Medicaid Services) will allow and what is most cost effective from the taxpayers’ standpoint. It is clearly in the state’s best interest to have a broad based and inclusive approach. The Medicaid expansion would have a significant impact on Utah’s state budget, economy and health care system. Providers, hospitals, business, state departmental leaders, legislative leaders, policymakers, consumers and consumer advocates should be included. UHPP looks forward to playing an instrumental role in that conversation. The Utahns for Medicaid Expansion (U4ME) coalition will resume its regular meeting schedule to develop strategy and engage the public to embrace the opportunity to expand Medicaid. [Note: The next U4ME meeting will be Tuesday, April 2nd, 3:30pm, at the Catholic Diocese, 27 C Street, (Corner of C Street and South Temple)]. Despite the hijinks over HB391, the fight to adequately fund the existing Medicaid program in Utah was surprisingly less controversial this year. The Department of Health did not need to request supplemental appropriation to fund its caseload. In fact, with an improving economy, the forecasted enrollment was much greater than actual enrollment. As a result, the state’s Medicaid program actually returned millions of dollars to the general fund. In fiscal year (FY) 2013, 21,300 fewer enrollees generated $44.7 million in general fund savings. Looking ahead to FY 2014, the savings will much less as the additional resources will go towards funding the impacts of the “woodwork effect”—a term reflects the influx of currently eligible but not enrolled people who sign up for Medicaid based on the ACA’s requirement to have insurance. But this is a good thing, right? We prefer to call it the “welcome mat” effect because we know it’s better for folks to have access to decent, affordable coverage than to wait and show up in expensive settings like the emergency room. This phenomenon, no matter what you call it, will cost the state an additional $20.5 million in FY2014. On an ongoing basis, the state annual cost will be around $40 to $50 million. Location: Catholic Diocese, 27 C Street. The critical cost-benefit study on the Medicaid expansion was delayed—twice—and it’s still being held in the executive branch. The state attributes the hold up to concerns about methodology. Regardless of the reason for delay, the study results are a linchpin for moving forward. Health care advocates were looking forward to a robust discussion and a final decision on the expansion this legislative session—just like many other states. We almost certainly won’t get this discussion during the current session, and the elephant in the room will remain undisturbed. Without the PCG study, legislators are not armed with the information they need to make and defend their stance on the expansion, whether for or against. Members of the Social Services Appropriations Sub-committee (SSA) understandably have great interest in seeing the study results. Last Friday, SSA voted in support of a motion by Rep. Rebecca Chavez Houck to formally respond to the results of the study, even if it is not released until after this legislative session. Also last Friday the Social Services Appropriations Subcommittee prioritized their long list of budget items. Their list will next be considered by Executive Appropriations when they set about to construct a final budget for the governor. UHPP is sympathetic to the need to carefully study the costs and benefits of the Medicaid expansion. But it is important to call attention certain big ticket items on the SSA funding priority list (see UHPP’s new cost matrix here) that may be partially offset by the Medicaid expansion. Under the expansion scenario, the total amount requested would be much less. And given state leaders’ fears about sequestration (automatic cuts that will go into effect if Congress fails to reach a compromise), these potential offsets merit special consideration. SSA should have the opportunity to consider these items with an eye on how each would be impacted by the Medicaid expansion if Utah eventually accepts it. Many conservatives are philosophically opposed to expanding federal programs. Yet numerous conservative political leaders across the country have come out in favor of Medicaid expansion. Just yesterday, New Jersey’s Chris Christie, arguably the most prominent Republican governor in the country, announced his support for the expansion. Just days before, Florida’s Gov. Rick Scott, another staunch conservative, who spent much of his campaign railing against Obamacare, decided to support the expansion. Generally speaking, these conservative leaders simply looked at the studies to “do the math,” as Arizona Gov. Jan Brewer suggested. UHPP compiled the results of six state studies in a recent report. These Republican governors have found a way to ‘hedge their bets’ around the expansion. In Arizona, Gov. Jan Brewer proposed a “circuit breaker provision” that would pull her state out of the expansion of the federal government reduces its match below 90 percent. Florida will support Medicaid expansion for the first three years of 100% federal financing, and then re-assess its decision. Clearly, there are plenty of ways to pursue expansion on a limited or conditional basis, and to continue to evaluate its state-specific effects. Who does Medicaid expansion help? While government delays discussing and acting on the expansion, the public is speaking up. In a recent Salt Lake Tribune article, Lindsi Roundy talks about her struggle to stay in medical school. On KSL’s Sunday Edition, Mike Twede, an aspiring entrepreneur, shares his story about how lack of health insurance can make the path to establishing a successful business nearly impossible. UHPP has collected numerous other stories about how Utahns would benefit from the Medicaid expansion in a storybook. On Wednesday, February 13th UHPP released a joint report created in collaboration with Families USA. The economic focused report, Utah’s Economy Will Benefit from Expanding Medicaid, provides compelling evidence that expanding Medicaid is more than a health care issue. “It’s clear from this report—the Medicaid expansion is not just health care issue but an economic issue. The economic impact from expanding is significant. From the economic development perspective, 5,900 new jobs and $670 million in additional economic activity in a single year (2016) is nothing less than extraordinary,” says Matt Slonaker, Medicaid Policy and Collaborations Director at UHPP. Now is the time to speak to your senators and representatives about why expanding Medicaid is the smart decision for Utah. A small but growing number of legislators, both Democrats and Republicans, are acknowledging the importance of the Medicaid Expansion to the health of Utah’s people, and its economy. However, many are reluctant to express outright support. It’s time for advocates to ramp up the pressure and give our representatives the support they need to make this important decision. Follow the action steps below to do your part in making the Medicaid expansion a reality in Utah. 1-Look up your lawmakers using UHPP’s 2013 Legislative Roster. Give them a call, email, text, tweet, post a note on their Facebook page in favor of Medicaid expansion. You can also ask to meet with them. 2-Check out UHPP’s new Medicaid Expansion Toolkit for talking points. 4-Sign the Choose YES 4 A Healthy Utah petition. Bonus step: Share this link through your networks! Note the new (earlier) time for the Utahns for Medicaid Expansion (U4ME) coalition meetings which will be Wednesdays, 11:00am-12:00pm in Olmsted Room at the Capitol Senate Building (East Side). First meeting at the new time is February 13.
Who will the Medicaid expansion help? Find out by reading UHPP’s recently published storybook: Utahns Speak Up: Join the Medicaid Expansion. For the last several months UHPP staff have asked everyday Utahns to share their stories about navigating the health insurance and health care systems. The result is a storybook filled with real accounts from married couples, students, entrepreneurs, and refugees who have all struggled to find consistent and quality care for themselves and their families. With the upcoming release of the Medicaid expansion cost-benefit analysis (conducted by Public Consulting Group) we hope that Utahns Speak Up: Join the Medicaid Expansion will add a personal perspective to charts and numbers the PCG study reveals.